It’s Sky’s Super 6 time once again and there is another massive £1million jackpot to try to win this weekend. 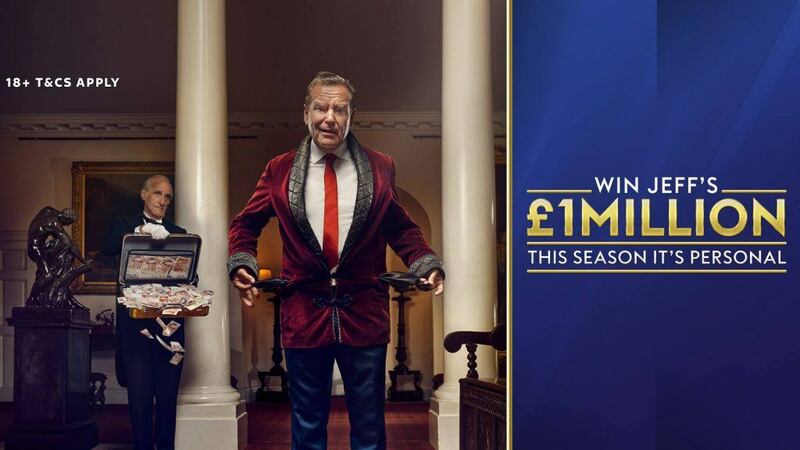 It’s completely free to play – all you have to do is correctly predict the score of six of this weekend’s Premier League and Championship matches, and you can pinch a cool million pounds from Jeff Stelling. Brighton have started the new season in much the same way as they finished the last. Points on the road continue to be hard to come by, though the Seagulls are still a force to be reckoned with on their own patch. Brighton’s win over Manchester United at the AMEX Stadium was superb, and really, Chris Hughton’s side are a match for any Premier League team when playing on the south coast. Fulham got their first Premier League win of the season last week, though the victory did come at the expense of a Burnley side in complete disarray. The Cottagers expensively assembled squad do seem to be improving week on week, though they will have their work cut out against a Brighton side who have won 5 of their last 8 at home. With Brighton’s strength on home turf considered, we’re tipping the Seagulls to win 2-1. Maurizio Sarri couldn’t have asked for a better start as Chelsea boss. The Blues have won 3 out of 3 in the Premier League, triumphing in games against Huddersfield, Arsenal and Newcastle. Their most recent couple of performances show that there might be a defensive weakness or two that teams can exploit however. Chelsea conceded 3 times in their two games against Arsenal and Newcastle, though their attacking quality has thus far more than compensated for their defensive slips. Bournemouth can move into the Champions League places with a win at Stamford Bridge this weekend, illustrating what a fine start they have made to their campaign. Facing Chelsea will undoubtedly be the Cherries biggest test of the season after games against Cardiff, West Ham and Everton so far. Bournemouth have the personnel to cause Chelsea problems, but we don’t think they are capable of outscoring their hosts. We’re tipping Chelsea to win this one 3-2. Crystal Palace may have lost 2 of their opening 3 Premier League fixtures in 2018/19, but Roy Hodgson’s side still look well-equipped to avoid repeating the awful start to last season that saw them lose their first seven matches. Successive defeats to high flying Liverpool and Watford have set the Eagles back, but they will be confident of getting back on track against struggling Southampton on Saturday. The Saints have yet to put a win on board after drawing with Burnley on the opening weekend and losing to both Everton and Leicester in their following fixtures respectively. Southampton have won just 2 of their last 18 games on the road, so an upturn in fortunes seems unlikely at Selhurst Park this Saturday. We’re backing the Eagles to heap on the misery for Southampton by winning 2-1. Marco Silva has had an interesting start as Everton manager. The Toffees style of play has visibly improved, yet defensively, they have looked disorganised for large swathes of their Premier League fixtures. Everton are still looking for their first clean sheet under Silva, having conceded 5 times in their first 3 fixtures. Michael Keane’s recent injury is sure to cause further headaches for Everton in their defensive third, though from an attacking standpoint at least, the Toffees look slick. Huddersfield have won just 3 away matches since the start of last season and their adventures on the road got off to a horrific start in 2018/19. Man City stuck 6 goals past the Terriers at the Etihad a fortnight ago and though Huddersfield recovered to draw 0-0 at home to Cardiff a week later, the result felt like 2 points dropped rather than 1 gained. Everton represent another big challenge for the Terriers and we expect them to struggle again. We’re forecasting a 3-1 home win. It’s been a strange start to the season for West Ham. The new-look Hammers, who spent big over the summer, have looked a threat at times this season, particularly in their games against Bournemouth and Arenal, yet the Londoners are the only team in the Premier League to lose all 3 of their opening fixtures. With so many new faces, it makes sense that West Ham look like a group of talented individuals rather than a cohesive team Wolves can take advantage of that this weekend. Wolves sent the rest of the Premier League a message last week with their performance and result against current champions Manchester City. Like West Ham, Wolves are still searching for their first win of the season, though the league’s new boys look far closer to getting it than the Hammers. West Ham have won just 4 of their last 17 home matches, and we’re tipping Wolves to make that record look even worse this weekend. We’re backing the visitors to win 2-1. Two recently relegated teams, West Brom and Stoke go head-to-head in the Championship this weekend at the Hawthorns. Neither former Premier League combatant has taken to life in the second tier all that impressively, though the Baggies have fared slightly better than their opponents this week. WBA have lost just 1 of their last 4 matches as they begin to find their feet in the Championship. Stoke City followed up their first league win of the season last week with a victory in the Carabao Cup in midweek. Those results should push the Potters’ confidence level to its highest point of the campaign to date. Stoke have only won 1 of their last 7 meetings with West Brom however, a record that’s sure to plant a few seeds of doubt in the City ranks. WBA seem to have the measure of this Stoke team, so we expect them to battle their way to victory on Saturday. We’re going for a 2-1 home win. Categories: Blog, Football, and Sky Super 6. Tags: championship, Premier League, sky super 6, and super 6. Team Tag: bournemouth, brighton, Chelsea, crystal palace, Everton, fulham, huddersfield, southampton, stoke, west brom, West Ham, and wolves. League: England Championship and England Premier League. Sports: Football.